Hi Raid....first of all, I enjoyed the set. Regarding your concerns, others here have a better eye than I do for processing. The things I typically look for are pretty good in your shots. I can see a bit of noise in a few, but you seemed to have been able to correct that in the shot where it was most significant. While I agree with Bill, you may want to consider upgrading to LR5, overall your RAW-JPG converter seems to be ok to me. From the lighting I am guessing these were taken ~1-2 hrs before or after noon. Working in that lighting can be tough. While the "magic hour" gets a lot of attention, some of my favorite lighting are actually from 2-3 hrs before sunset or after sunrise or on cloudy days. I am often disappointed when I think I have an amazing shot taken from around noon on a bright sunny day. So much contrast, so much DR, they often don't work out well. As you mentioned sharpness, you may want to check the AFMA on your lens combo. I could be wrong, but I assume you were focusing on the faces. If so, there could be a slight back focusing issue as it looks to me that 3-4 of the shots the bodies are sharper than the subject's face. As I said, I enjoyed the set and if nothing else, enjoy the heat. Bill and I live about 30 minutes apart, so we are both in for the same 8-12 inches of snow and -4 F (-20 C) temps tonight. Last edited by Kayaker72; 02-11-2014 at 01:05 PM. Were all your shots taken from the beach? 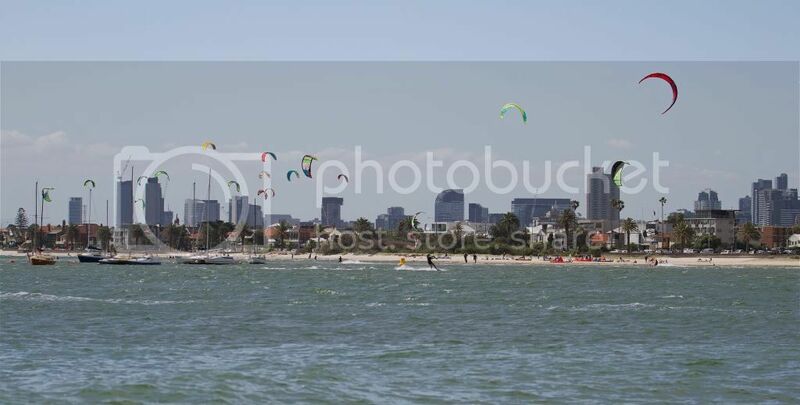 The problem with shooting Kites is that they only appear in a location when the wind is in the right direction. They were taken from about 3:30PM (daylight saving time) so the afternoon. The first 6 shots were taken from an old ramp just off the beach. (Yellow Dot) so I'm north west of the kites. All the remaining action shots are taken from the pier. The Babe shot I one that I'm very happy with. With a very crowded beach (hence the strange crop) I could just see her skin glow a lovely golden colour in the afternoon sun. This would have been better done as part of a staged shoot, but I'm not that good. Last edited by Raid; 02-11-2014 at 09:17 PM. While I agree with Bill, you may want to consider upgrading to LR5, overall your RAW-JPG converter seems to be ok to me. Well Adobe is not the most popular company in Aus. at present. They have been riping us off for many years charging us 2-3 times the US price, for a download copy! The current normal price in Aus. is around $200, and this is after Adobe have been publicly shamed for the rip-off. I will look at LR5 can give me. I have checked the body lens combo and it looks fine on LensAlign. At the speeds the kites travel, the high winds buffeting me and the distance to the kite, I was lucky that the AF tracked so well. I was just hoping that the AF points would stay on the target, was not trying for the face. 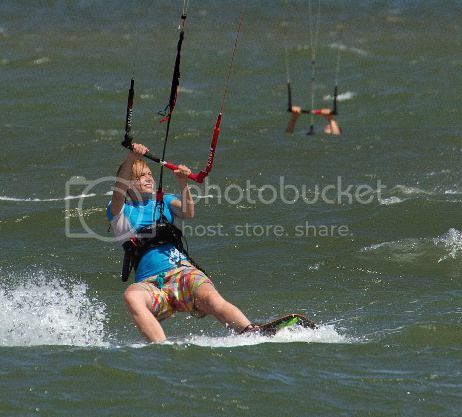 To give you an idea on just how windy is was the Kite surfer behind is not underwater! Last edited by Raid; 02-12-2014 at 06:00 AM. Yikes....adobe does sound expensive. Is the "Creative Cloud" option available in Australia? I just checked and they have an option to pay for it in Australian dollars, so I assume it may be available. I'll likely be making the jump to this soon. Right now I have LR 4. There are a feature or two in LR 5 that I would like, but primarily, I don't want to be left behind in improvements in the RAW to jpg converters. Plus I should learn to post-process better and move up from elements. Overall though, fantastic shots, I would love to give something like that a try. Is the "Creative Cloud" option available in Australia? Creative Cloud is available for $50 per month but its currently on sale for $15. I have been waiting for the experts here to say if its worth the money before I even consider this as an option. From what I've been reading nobody is very enthusiastic. At a time when everybody is out shopping for last minute gifts, there are many who have their priorities correct. I really like both shots.